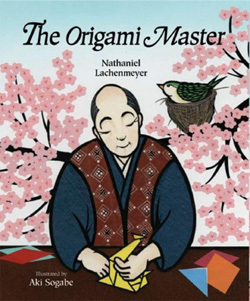 Set in the landscape of the high mountains of Japan, Shima, an origami master lives all by himself. His life revolves around his origami and he is happy living alone. One day, a warbler chooses the tree next to his home, to build its nest. All day long, it flies about, collecting twigs and materials and at the end of a long day, it sits on a branch and watches Shima at work, from time to time singing...hoohokekyo....hoohokekyo. Shima loves hearing the warbler and all is well until one night, when the warbler flies in to the house and begins to fold a piece of paper, just like Shima. The next morning, Shima discovers a new paper elephant on his desk. Its the most exquisite thing he has ever seen, and even more beautiful than his own origami elephant. He stays guard that night and discovers the identity of the mysterious origami maker. He is consumed by jealousy and decides to catch the warbler and find out all its secrets. That very night, when the warbler comes in, he grabs it and locks it in a cage. But the warbler, desolate about being trapped, refuses to do any origami and stares longingly at her home in the tree. Shima tries his best to entice it, but nothing works and he falls asleep at his desk. The next morning, when he wakes up, he finds that the cage door is open and the warbler is gone. And its means of escape is quite ingenious. At this point, Shima realises how much he misses the bird's company and how much happier he was when it was up in the tree singing...hoohokekyo..hoohokekyo. The story has a happy ending when the warbler returns to its home, to find a beautiful gift waiting for it, from the origami Master himself. That's the story. And it is one story that was equally enjoyed by both my 6 year old and my 3 year old. Its hard to find common reading ground among the two of them, and it was the warbler's hoohokekyo that charmed both these young readers alike. That and the little origami bird tutorial that was on the last page of the book, with very easy to follow instructions. I made them one bird each and they could now sing hoohokekyo to their heart's content. As for me, I have to say that I liked the minimalism in this book. That there are just 2 characters in all, and the story tosses back and forth between them. That it is a see and do book, interactive and guiding you to try something new. That the illustrations showing Japan's countryside and the architectural uniqueness of the traditional homes there, together with the pink cheery blossoms, all giving it a very quaint-but-never-cliched oriental touch. did it use origami?! like a folded sheet to open the latch maybe? I am going to send you my library catalog web address and I am going to forbid you from picking any books outside of the catalog. All these nice books and enticing reviews and the knot....after all this the book is not available in our library :( The suspense is killing me. I am adding Calabash The Cat and The Origami Master to my amazon wish list. I'll go with ChoxBox's guess - used origami to make a key? It sounds wonderful. I will try to look for it. I WANT THIS BOOK now :) such a beautiful story - and I want to read it for me too, not just Nino! I think we can't teach the 'love but let go' concept early enough or more enough. Beautiful moral. What a charming Origami tale from Japan! My girls would love it over here. Thanks for the resource link. Will dig in for some project ideas. Enjoyed the review Tharini. Somehow as I read it, the book came alive..as though I was reading it aloud and I could almost fathom my daughter's curious and sympathetic eyes. So, I will keep this book in mind, for sure. Thanks! hey...trying to squeeze in my comment in this post....peeping into your blog after a long time.."Japan" caught my attention....needless to say,but want to say(:-)good reviews on different genres! 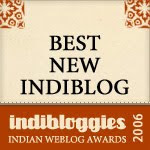 didn't notice when you changed your blog header! looks so dashing!